(December 26, 2014) One of the hottest television couples of the 1950s was Lucille Ball and Desi Arnaz starring in "I Love Lucy," the most watched show in the U.S. for four years of its six-year run from 1951 to 1957. So they were the perfect couple to tout the new Ford hardtop convertible in a two-minute advertisement. 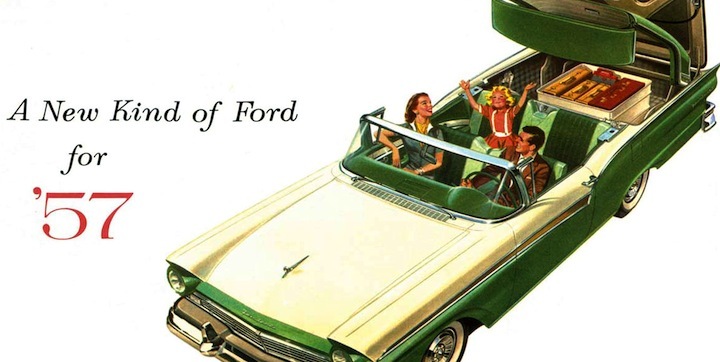 One of the automotive industry's modern marvels, Ford introduced the removal hardtop on the 1957 Skyliner. (December 11, 2014) The compact Chevrolet Corvair was a truly revolutionary car when it hit the market as a 1960 model, the first modern American car powered by a rear-mounted air-cooled horizontal six cylinder engine made almost entirely of aluminum driving the rear wheels. The unique design was conceived by Chevrolet Chief Engineer Ed Cole and became an instant success selling more than 200,000 in its first year. In fact, sales exceeded 200,000 for six straight years. 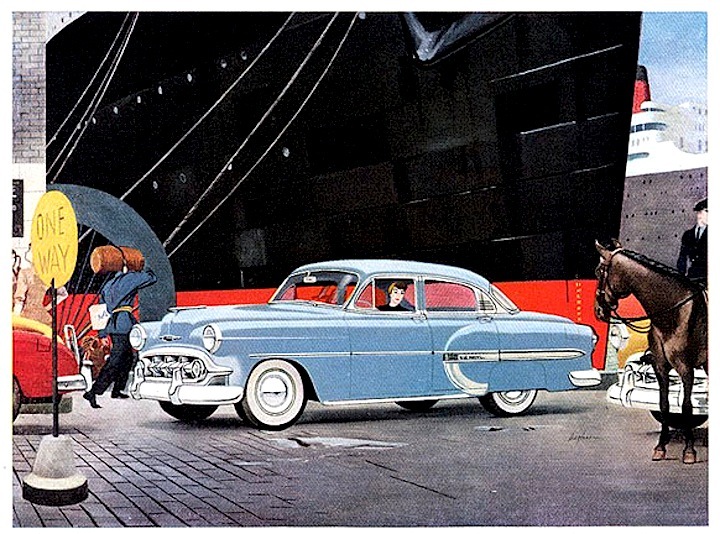 (November 19, 2014) The 1953 Chevrolet lineup got a heavy makeover — although it didn't go on sale until just after the new year — with three trim levels and 16 models, according to a Chevrolet publicity chart. 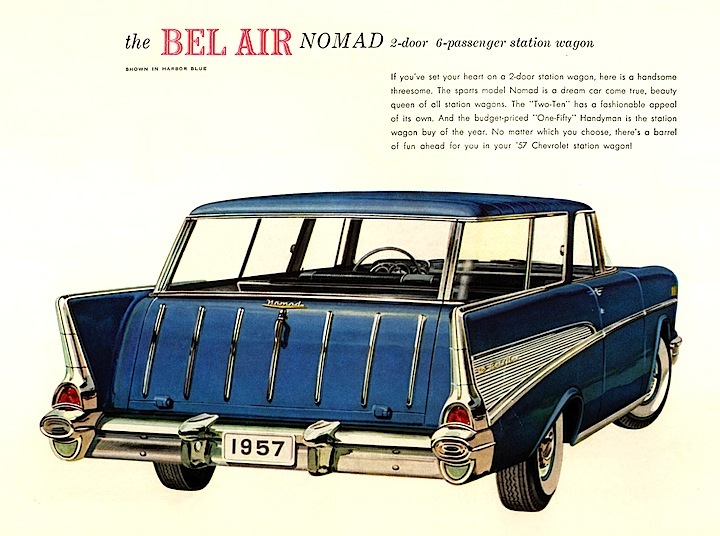 The three trims included the base One-Fifty, the new-for-53 mid-level Two-Ten and the top-of-the-line Bel-Air. (November 4, 2014) Although the 1957 Chevrolet was a carryover from the 1955-56 iteration, some key styling changes including a new chrome headlight enclosure, a wider grille, and a new dashboard, has made the '57 model highly collectable. General Motors initially wanted an all-new car for 1957, but production delays necessitated postponement until the 1958 model year. (October 16, 2014) — The iconic Route 66 was made famous in the early 1960s by the hit television show "Route 66" in which two young men traveled across America — some of the time, we presume, on Route 66 — in a Chevrolet Corvette. There were 116 episodes from October 1960 through March 1964 and Chevrolet capitalized on the show's success with numerous Route 66 television ads. (October 3, 2014) Oldsmobile introduced its Rocket engine in 1949, an overhead valve V8 design the took the place of the aging flathead straight-8, which was popular in the 1940s. The engine produced considerably more power than the flathead engines putting Oldsmobile at the forefront in performance. (September 23, 2014) Packard introduced the Caribbean convertible in 1953 as a "halo" car to attract customers back to the brand, which had lost its premium brand luster after World War II. The convertible was based on the Pan American concept car shown at the 1952 New York International Motor Show. (September 15, 2014) This classic Esso gas commercial from 1938 is rather interesting giving us a peak into the American service station in the late '30s. Nice theme too — giving a little something extra. It was a time before such government entities became concerned with leaded gasoline. And note the rather weird and spooky cartoon at the end. 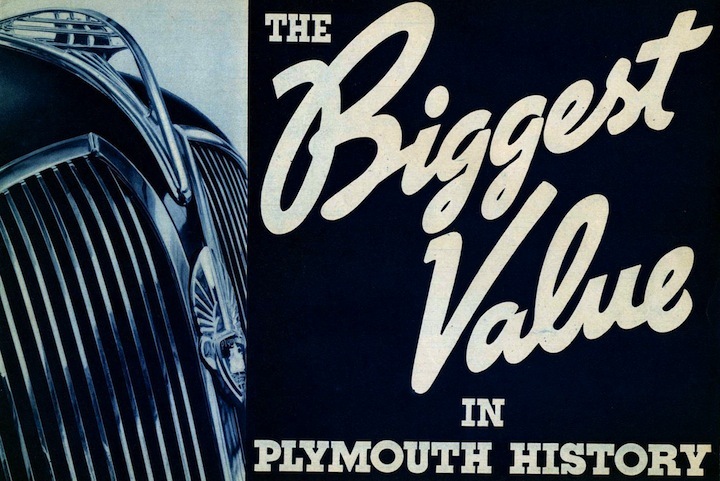 (September 3, 2014) After watching the 11-minute commercial on the 1937 Plymouth we wanted to jump out of our chair and head to the nearest Plymouth dealer for a test drive. To say the commercial was persuasive is an understatement. The brand appeared in 1928, Chrysler Corp.'s first entry in the so-called low-priced field, which was dominated by Ford and Chevrolet at the time. (August 28, 2014) Chevrolet produced some interesting — and informative — short movies in the 1930s for showing presumably at movie houses before the main feature. 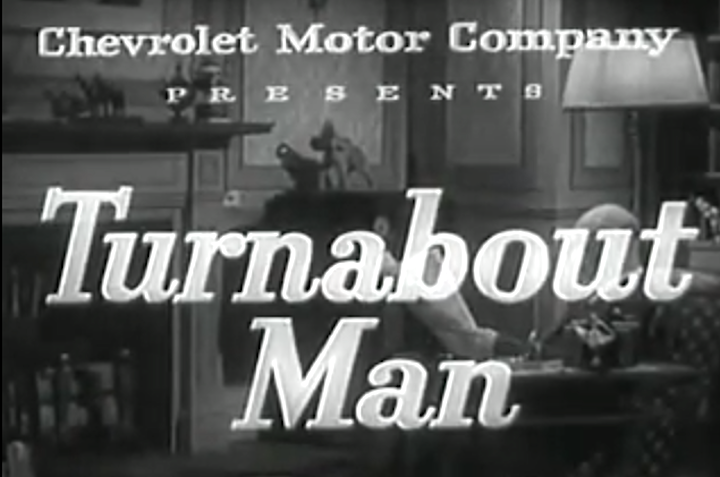 This seven-minute production, "Turnabout Man," is rather unique because it doesn't push the Chevrolet brand, but offers lessons in road manners, lessons we could apply to driving today.